Montenegro fell victim to a refereeing injustice in their Group A opener on Friday, conceding a late penalty to draw 1-1 against Bulgaria. As a result, they have won only two of their last 13 fixtures - both of which came against Lithuania. In the Nations League, the Brave Falcons lost three of their six League C UEFA Nations League matches to finish 3rd in their group, including home defeats, without scoring against Serbia (0-2) and Romania (0-1). Actually, Montenegro have failed to strike in seven of their last 13 internationals, including four of their last six in Podgorica. Historically looking, Montenegro were unpleasant opposition to the Three Lions. The Brave Falcons held England to three draws in last four direct encounters. The absence of Stefan Savic and Stefan Jovetic is a considerable blow to their hopes of pulling off a shock result. That may lead to the same starting lineup being selected for the visit of the Three Lions. Manager Ljubisa Tumbakovic could opt for a double striker - Stefan Mugosa and Fatos Beciraj - and a 4-4-2 starting system. Nebojsa Kosovic is a potential alternative up front. In defense, Adam Marusic and Marko Vesovic are in contention for the left back berth, while Marko Simic, Zarko Tomasevic and Filip Stojkovic completing the four man backline. England already sit at the top of Group A in UEFA Euro 2020 qualifying as they trashed Czech Republic 5-0 on Friday. The Three Lions are unbeaten in their last six games, winning five, as their only defeat came at the hands of Spain (1-2) in their opening UEFA Nations League fixture on their way to top the group ahead of Croatia and la Furia Roja. Gareth Southgate's men have 10 goals in the last three outings but have failed to keep a clean sheet in 5 of their last 7 games. England are yet to taste defeat against Montenegro. The Three Lions took a demolishing 4-1 victory when they last played the Brave Falcons back in 2013 at Wembley. Eric Dier was forced off in the first half last time out and has returned to Tottenham. As a result, Ross Barkley and Declan Rice are expected to join Jordan Henderson in midfield, as Dele Alli is likely to be rested. Up front, Jadon Sancho, Harry Kane and Raheem Sterling could all keep their places, although Callum Wilson and Callum Hudson-Odoi will both expect to feature at some point in the match. At the back, Kieran Trippier and Kyle Walker are in contention for the right back spot, while Harry Maguire, Michael Keane and Ben Chilwell will all retain their starting berth. The likes of Luke Shaw, John Stones, Ruben Loftus-Cheek, Trent Alexander Arnold, Fabian Delph and Marcus Rashford are sidelined. Here at BetAndSkill.com we strive to provide you with the best odds on all the Euro 2020 qualifying matches we preview, and below you'll find the best prices on the Montenegro vs England match winner market. Don't miss the chance to boost your profits! Visit our today's price boosts page right now or read our odds comparison analysis! The UEFA Nations League returns this week and this will be one of the toughest match to predict of this round. Our professional bettors have deeply analysed all the stats and info regarding the two teams and you can find below our recommended bets on Montenegro vs England. Our experts bring you daily football tips since 2007, and we are publishing the best Euro 2020 qualifiers tips throughout the tournament! As you can see, we have recommended a bet on the Anytime Goalscorer market. Here you can read our guide on how to bet on goalscorers, one of a multitude of betting guides you can find throughout our site. 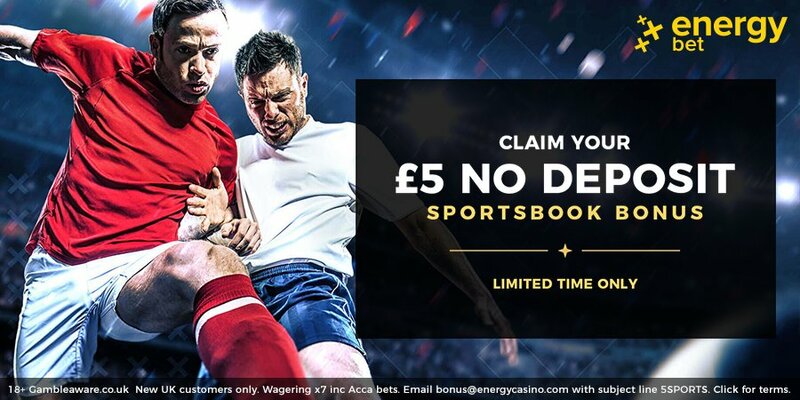 The Euro 2020 qualifiers are the highlight of the the international calendar in 2019 and there is no shortage of top online betting sites offering no deposit bonuses or free bet codes to bet on these matches. Wanna win £1,000 without even deposit this week? Try the new Paddy Power prediction game Beat The Drop! "Montenegro vs England Predictions, Betting Tips, Lineups & Odds (Euro 2020 Qualifiers - 25.3.2019)"